I usually don’t post a new recipe on Saturday, but had to share this variation of the chewy cookie bars! You know I wasn’t stopping with just Oreos right? Lol! 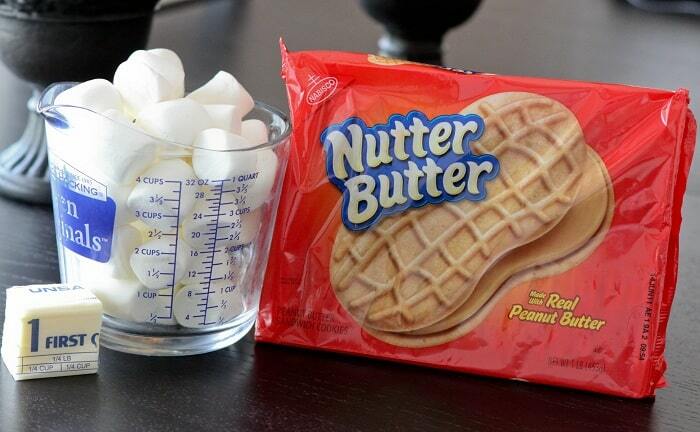 Same exact recipe, just used a package of Nutter Butters instead of Oreos and…..yah they were equally delish! Also, before you go, I did a little face lift around here at Picky Palate. I get to upload bigger photos and I love my updated header! You can also scroll through my navigation bar and see some new features under my recipe index. It’s much more organized into a few more categories. A big thanks to Emily from Swank Design for doing this for me!! 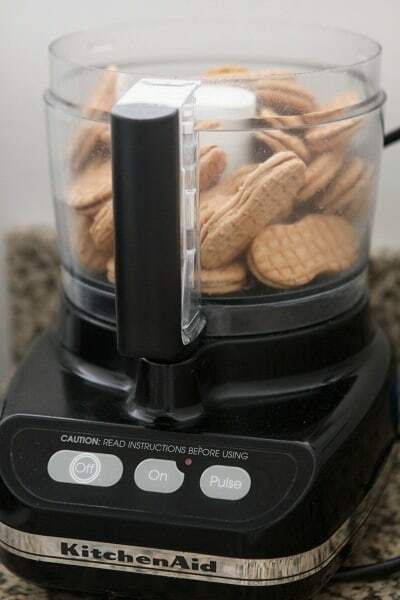 Place cookies into food processor until ground. Pour your cookies into puffed up marhsmallows that have been cooked in the microwave with the butter. 1. 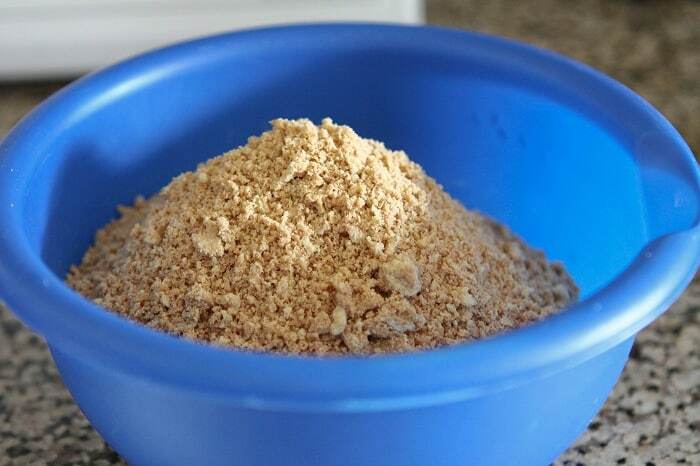 Place Nutter Butters in food processor and pulse until ground. 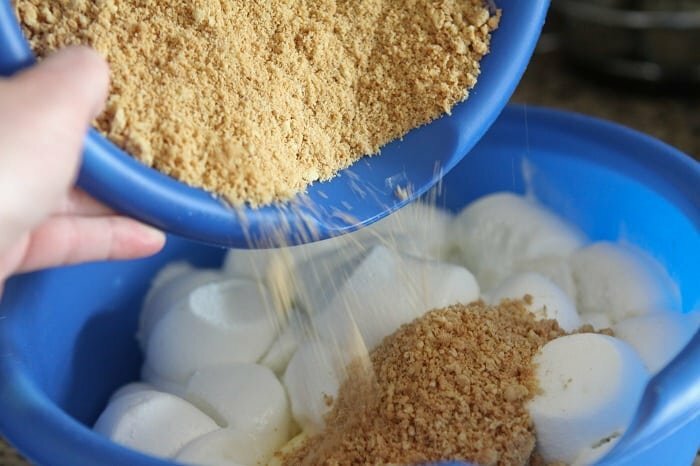 Melt marshmallows and butter in microwave until puffed, about 1 1/2- 2 minutes. 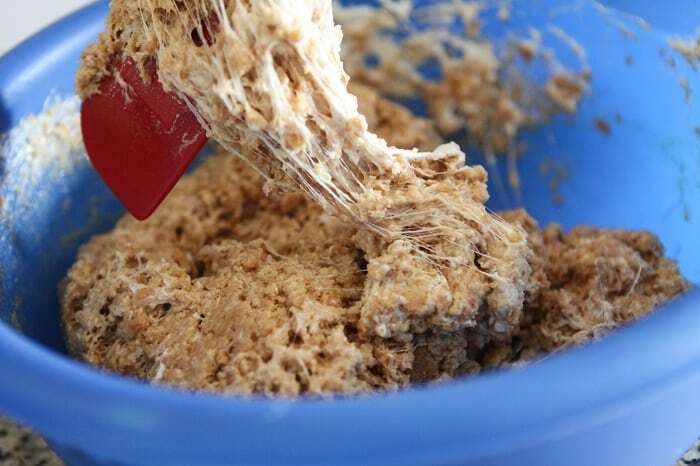 Remove and pour in ground Cookies. Stir to combine then transfer to a foil lined 8×8 inch baking pan. Let set up for 10 minutes. 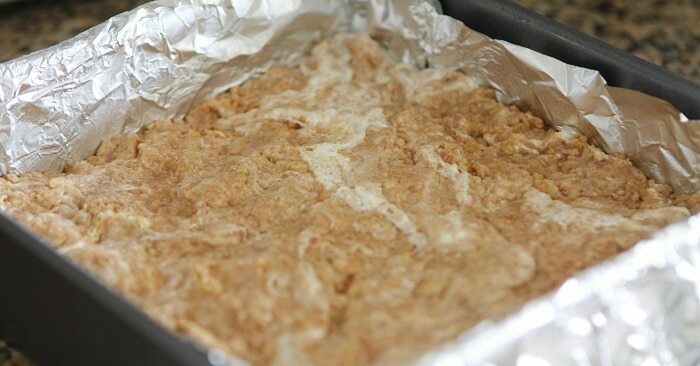 Remove bars out of pan with edges of foil and cut into squares. You do! You pull these amazing little rabbits out of your hat, Jenny! I love the looks of these!! YUM!!! These look loevley! Mmm I love Nutter Butter’s! These look so tasty and easy! The flavors involved remind me of a peanut butter an d mini marshmallow no-bake slice that my grandmother used to make. Can’t wait to try it and find out if nostalgia comes rushing in. Both this and the oreo bars remind me of college. The cafeteria in my college would take whatever cereal was almost stale and make “treats” out of it. We had fruity pebble bars, cheerio bars, and cinnamon toast crunch bars. They were always super tasty, even if they were just trying to use up old cereal. 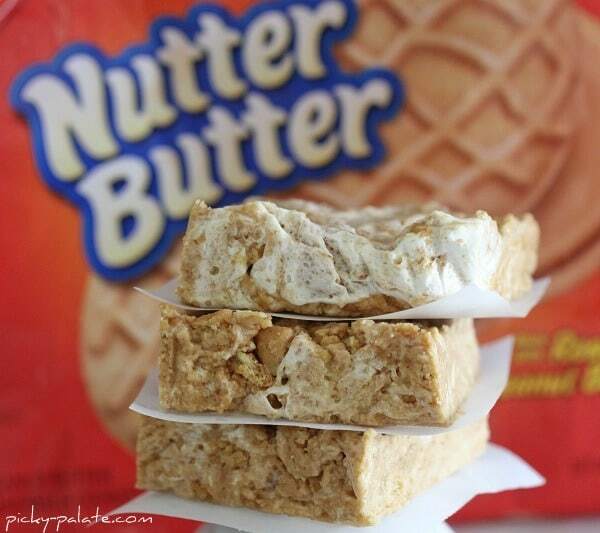 I love peanut butter and marshmallow! Looks yummy Jenny! AMAZING recipe, Jenny! Love, love, love it! can you tell me how many cups of mini marshmallows to use instead? thanks! I swear all of us girls think alike. I made something with Nutter Butter Minis yesterday!! Nothing like this, but it’s still funny that we were both thinking of Nutter Butters! These are perfect! yum!! i bet these would also be good with Do Si Do peanut butter girl scout cookies! I say Nutter Butter and Oreo cookies in the no-bake bar together! Chocolate and PB HEAVEN! Nutter Butters are my favorite! Yummmmy! Cant decide which is more tempting, the oreo or nutter butter bars, guess I will just have to make both, LOL! Thanks for sharing the recipe, I cant wait to try it. So glad I stumbled onto your blog! These looks fantastic! They’re going to be perfect treats for me to take to work. 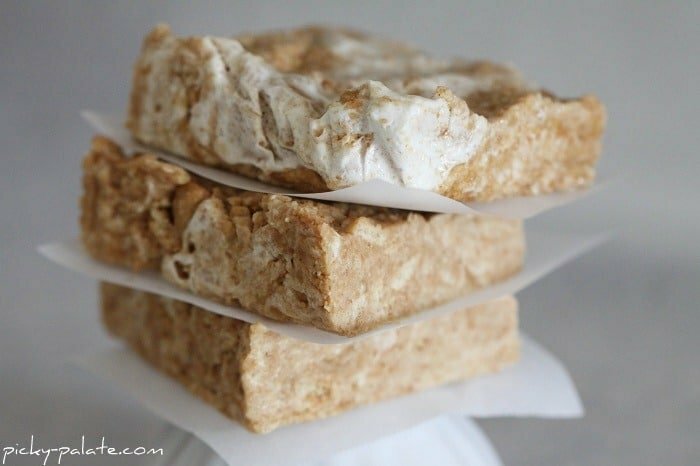 I’m really tempted to mix your last 2 recipes and make some Oreo-Nutter Butter chewy bars. The customization possibilities for these bars are exciting! Thanks for the great idea! Looks fantastic! I am going to try them pronto! I fondly remember my dad destroying many a package of Nutter Butters growing up. This would be a great birthday treat for him! Yum! 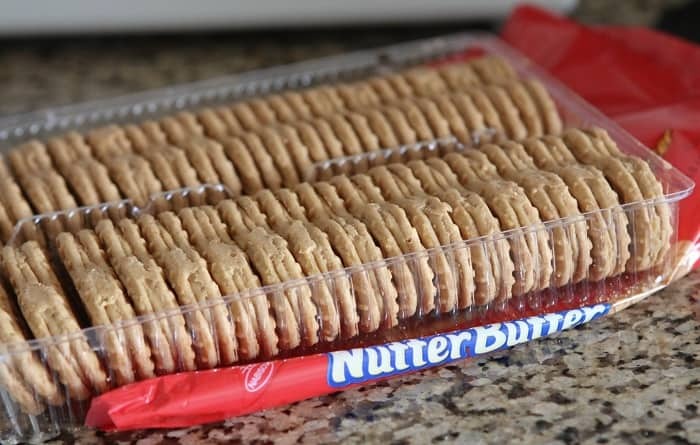 Nutter Butters are my favorite cookie. These look great! Oh don’t worry, I use my fair share of chocolate around here! Hmmm, any treat that is a variation of a Rice Krispie bar is going to get 2 (maybe 4) thumbs up. Just love, love, love them! These look so awesome! Makes me want to make some right now! I was salivating over the Cookies and Creams Bars, but now I want to run to the store to Nutter Butters! I have some girl scout cookies in the cupboard. Hmmm…. I just didn’t want you to think I was shutting you out. 🙂 Hope the O.C. is treating you good!! I’m in Canada where Nutter Butters don’t exist. Oh no! And dairy products, like butter, are expensive on my university-student budget. So my question is: do you think I could use a vanilla sandwich cookie instead, and substitute peanut butter for the butter? Note to self: Go to store and get Nutter Butters. 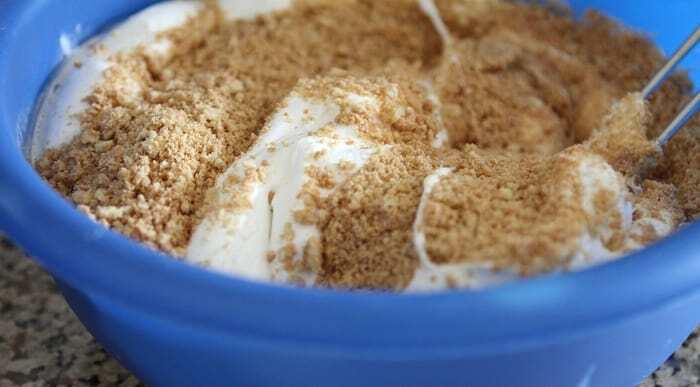 An easy and delicious treat! Yum! Why do I even bother buying multiple ingredients, when you keep coming up with these 3 ingredeient recipes? Great job on the site facelift! 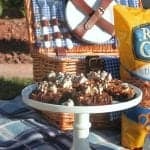 This is another recipe that my kids would adore. I made these along with a batch of the oreo ones last night to bring to work today. SUPER YUMMY and easy! I had to keep a couple for the kids and the hubby but most of them made it into work with me today. Yah, I can just imagine how incredible the drizzled chocolate is! mmmm! These sound AMAZING. Then I scrolled down and saw the oreo version. I’m much more a peanut butter person, but my coworker LOVES chocolate and Oreo’s. After sharing these recipes with her, she suggested that it’d be good to MIX the Nutter Butter & the Oreo’s. I have not tried, but I think that’d be a great combo!! Uh oh, I think I made a mistake. I used the whole bag of regular sized marshmallows. That was too many wasn’t it? It tasted like homemade peanut butter marshmallows which was great and would be perfect with chocolate fondue. BUT, that wasn’t right was it? Oh my goodness! I never have bought Nutter Butter cookies until yesterday and I happened to run across this recipe and tried it. It’s amazing! 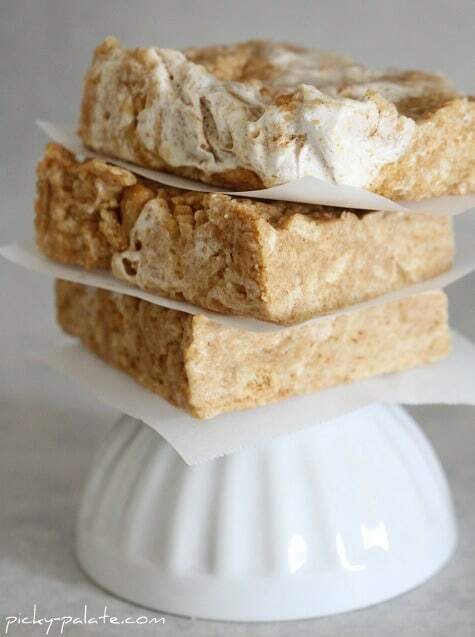 So much better than regular Rice Krispy Treats! This will be a huge it when I go back home to visit. Thanks! Planned on making the Biscoff White Choc cookies, but forgot to buy the White Chocolate morsels yesterday. Boo! Another day though. I have read a few excellent stuff here. Definitely worth bookmarking for revisiting. I surprise how much attempt you set to make this kind of magnificent informative web site. Simply wish to say your article is as amazing. The clearness for your submit is simply spectacular and that i could assume you are an expert in this subject. Fine with your permission let me to clutch your feed to keep up to date with impending post. Thank you a million and please keep up the gratifying work. My brother recommended I would possibly like this blog. He was totally right. This put up actually made my day. You can not imagine just how so much time I had spent for this info! Thanks!